SAVE-THE-DATE: GABE is BACK in 2019! The Active San Gabriel Valley (ActiveSGV) team is excited to announce that 626 Golden Streets is back this year. Save-the-dates. 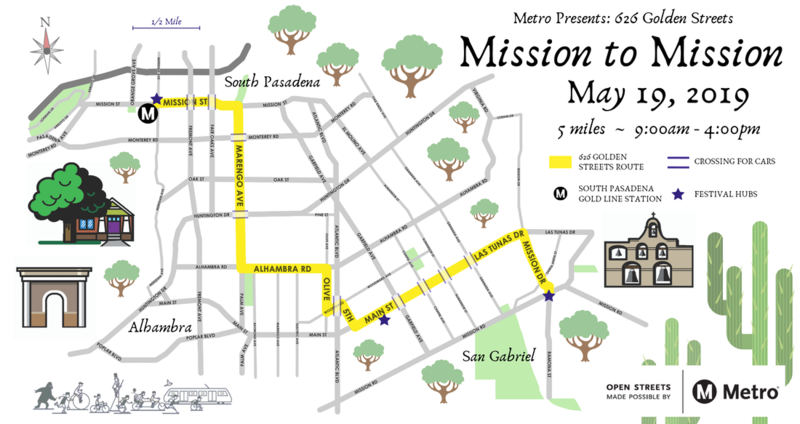 Check out the full calendar of Metro-supported open streets events in Los Angeles County here. Golden Streets is a free event! But bring cash or card to sample SGV treats and support local businesses along the route! You get to decide where you start and finish. There is no right or wrong way to experience the event. All forms of non-motorized transportation are permitted, including walking, biking, skating, jogging, ambling, and strolling. Golden Streets is not a race. There are no finisher medals or awards. Only miles of smiles on open streets. Share the road. Please stay right and exercise caution so everyone can have a safe, enjoyable day.